March 11, 2012, Victor Harbor, South Australia,: Fuse Multisport Racing Team athletes Ella Holmes of Evanston Gardens and Sam Tebeck of Williamstown had impressive wins in the Olympic Distance triathlon held today at Victor Harbor in ideal conditions. The event, which was the South Australian leg of Triathlon Australia’s 2012 World Championship qualification series, was especially memorable for Tebeck who took out his first win in the series after recovering from a persistent foot injury and a fall from the bike only four weeks ago at the Victorian leg of the series, where he finished 7th in the 18-19 age group category. Tebeck said he was ecstatic with his performance, and particularly the 40km bike leg. “I was happy with the bike time” he said, “and the first lap of the run felt very good too”. Tebeck completed the 10km run leg in a blistering 36:41 after averaging more than 36kmph on the 40km bike course. Although pleased with the bike and run legs, Tebeck acknowledged that he needed to improve in the 1.5km swim to be competitive in the New Zealand World Championships. “It would be good to improve my swim time so we can be at the front end of the field earlier on the bike leg” he said, “but we have until October to work on that”. Holmes was also pleased with her performance in the hotly contested 20-24 age group category, taking her second win in the qualification series. Holmes said that the plan had been to treat the race as a competitive hit out leading up to a major national series event on 25 March 2012. “We wanted to work on a few specific areas of my race, such as the swim exit and nutrition on the run leg, and this event presented a great opportunity to do that”, she said. “We had a very solid training block leading into this event so I expected to be feeling the effects of that a little today” she said. Despite the relentless training schedule leading into the event, which included a difficult 4-hour training ride in the Adelaide hills the day before the race, Holmes completed the event in a solid time of 2:12:31 to secure the win in the 20-24 age group category by nearly three minutes and take 3rd place overall behind winner Margo Macintosh of Queensland. Holmes was the best performing South Australian female athlete at the event. 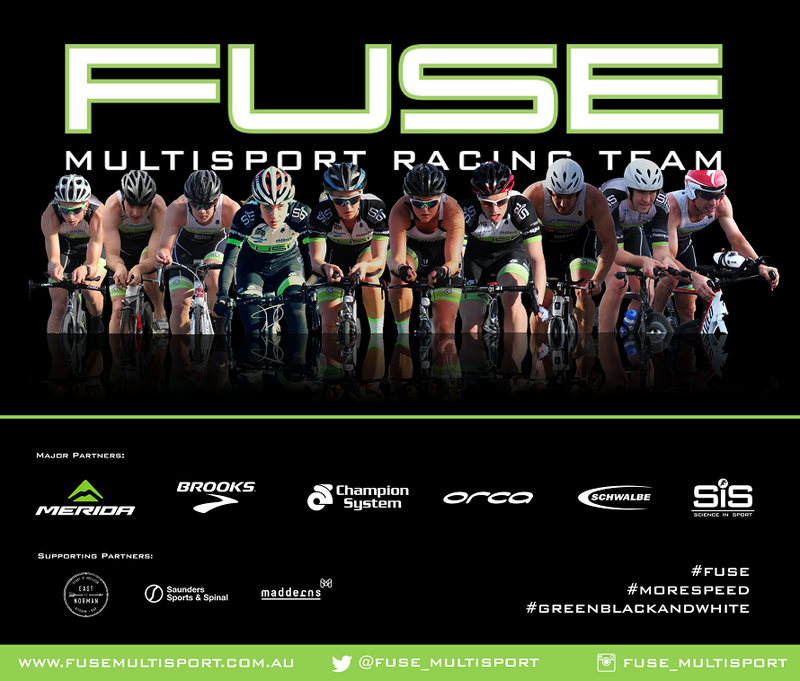 Fuse Multisport Racing Team coach Steve O’Brien said that Holmes and Tebeck now only have one more round of the qualification series to secure their selection in the Australian team to compete at the World Triathlon Championships to be held in New Zealand in October. “Sam and Ella are racing well” he said, “but, the World Championships aren’t until October, so we have a lot of work to do between now and then – our first goal is to make the team”, he said. For Holmes, that means racing in Mooloolaba on 25 March 2012 in one of Australia’s largest triathlons. Tebeck’s next race is the Sydney qualification event on 15 April 2012.